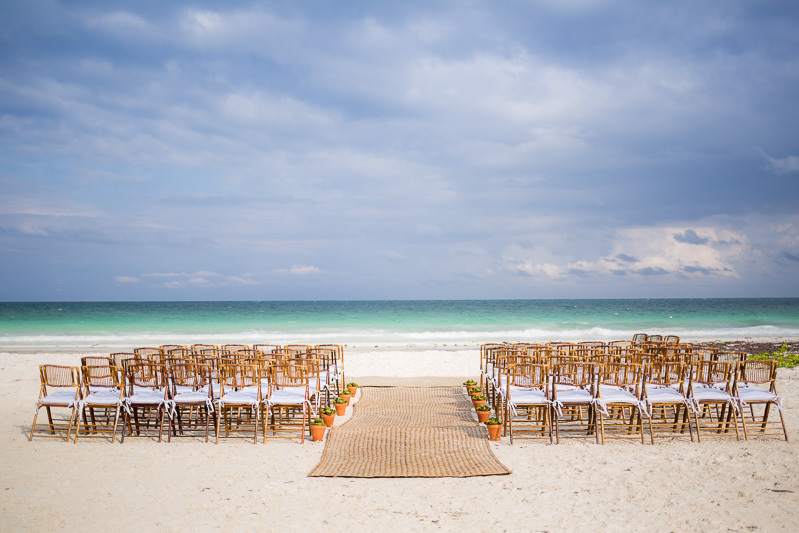 Will the chairs in the sand sink at your Cancun wedding? Will the chairs in the sand sink at your wedding? The quick answer is no, chairs will not sink and the sand in Cancun and the Riviera Maya is actually quite stable for chairs, and you are safe to plan your wedding on the beach! And you do not have to worry about your grandmother and/or any guests that uses a cane and does not walk very well. They will be able to sit in a chair on the sand. It’s a valid concern, not everyone attending every wedding here in Cancun or the Riviera Maya is going to be walking perfectly. There are going to be a few ‘unstable’ guests and the last thing we want is an injury. But rest assured if you have your ceremony on the beach, the chairs will be stable and safe for everyone to sit in. The sand throughout the Riviera Maya is incredibly soft and has a great base which makes the chairs stable. Neither I nor one of our team have ever been present at a wedding where a guest has had issues with a wobbly chair nor fallen off, so this can definitely be knocked off your list of concerns when planning a destination wedding on one of the Riviera Beaches. What does need some co-ordination is if you have a guest who is in a wheelchair. We came across this issue when dealing with a bride who had a grandmother that was in a wheelchair. However do not be alarmed, where there is a will there is a way! My advice to brides who have this situation is to coordinate with your resort/wedding planner who will ensure they have people there especially to usher the older generation and/or disabled to their seats. Unfortunately, however strong the ushers, the wheelchair will not be able to be pushed along the sand. The two options available would be for the guest to be carried in their wheelchair to their space or for you to have your wedding on a terrace or gazebo to the side of the beach. You may shrink at the thought of coming to Riviera Maya and not having your wedding on the beach, but believe me there are some incredible alternatives which may even be more appealing to you, be sure to do your research!! I hope you enjoyed this and found it useful. Cancun + Riviera Maya Wedding Photographer.